Hampton & Associates Law Office provides aggressive, topnotch, efficient, and cost-effective legal representation throughout the state of Mississippi. This office takes pride in providing strong advocacy, thorough counsel, and timely customer service while maintaining integrity and dedication toward fulfilling each client's goal of resolving legal issues. A hands-on approach is used in handling cases. Hampton & Associates Law Office takes the time to understand the legal, economic, and other various aspects of your case in order to reach the best possible solution for you. A member of the Mississippi Bar Association for 25 years. 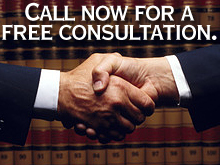 Free consultations are offered. Contact Hampton & Associates Law Office today at 601-743-4855 for all of your legal representation needs.